At Outward Bound, the wilderness is our classroom and there is no better teacher. Based on the course you choose, you will learn technical skill like: rock climbing, whitewater canoeing, navigation, back country travel and camp craft. However, Outward Bound is not just about learning technical skills. You will also develop interpersonal skills and learn to: work as part of a team and as a confident and compassionate leader, resolve conflicts, conquer challenges, and above all, discover your true potential. 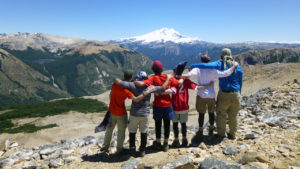 For the past three years, the Tracy Family Foundation has been providing scholarships to students who want to attend a North Carolina Outward Bound School expedition. These scholarships are available to Adams, Brown and Pike County students this year. For more information contact Andrea Copenhaver.